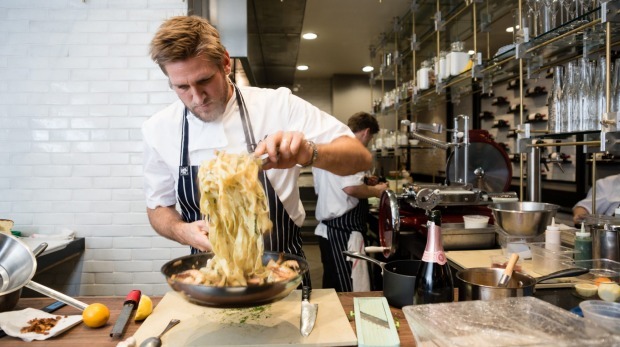 Curtis Stone's degustation dinners at Maude are one of LA's hot dining tickets. The entrance to Curtis Stone's restaurant is so understated I walk past it twice before finally spotting it. Unlike its neighbours on the busy South Beverly Drive strip, there is no colourful sign. There is no window through which you can watch the diners inside. The only clue as to what lies behind the plain black door is a handle shaped like the letter M.
Maude, the restaurant Stone named after his grandmother, is not a drop-in-on-the-spur-of-the-moment restaurant. It isn't even a book-on-Tuesday-for-Friday-night restaurant. To eat at this 25 seat restaurant, you need to plan ahead. Bookings for May opened on April 1, and seats tend to be snapped up straight away. Stone's nine-course set menu focuses on a different ingredient each month. Depending on the season, it might be fig or almond, carrot or asparagus. Tonight, in the depths of winter, we are revelling in a paleo nightmare: nine courses of potato. We're not talking about a procession of mashed followed by baked followed by chips. The first dish is a confit egg yolk served with caviar and pomme mousseline, a carefully constructed comfort food hit that is soft and salty and soothing all at once. The other eight courses include everything from tiny melt-in-your-mouth cheese dumplings in a delicate potato peel broth, to a tender slice of turbot served with a ribbon of potato poached in cultured butter. Dessert is a frozen white potato mousse served with lingonberry and stout beer sauce and milk chocolate caramel and tuile, followed by petit fours that include a tiny but tempting ball of potato choux pastry filled with mascarpone and cinnamon. A celebration of the potato is, perhaps, the last thing you would expect to find in diet-conscious Beverly Hills, where many menus conscientiously spell out the fat and carbohydrate content of each dish. Yet Maude's adventurous approach and its sell-out status typify the change that has come over Los Angeles in recent years. Once something of a culinary ghetto, LA has developed one of the most exciting food cities in the United States. "The LA dining scene has been on a real uphill trajectory over the past 10 years, and it is only getting started," Stone says. "The diversity keeps things really interesting. There are world class restaurants like Providence, serving sustainable, modern American seafood, and next door you'll probably find roadside tacos served up from a food truck that'll rival those from anywhere in Mexico." You will also find plenty of chefs like Stone, prepared to take a chance and do things their way. 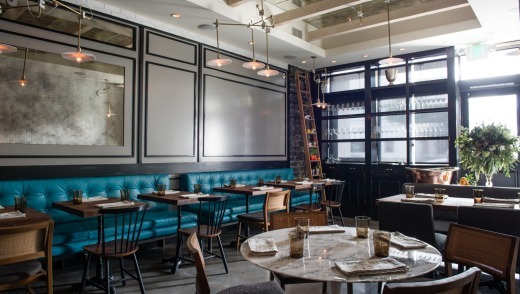 Take Gary Menes at Le Comptoir, a pocket-sized restaurant located at the Hotel Normandie in Koreatown. Le Comptoir only opens for dinner four nights a week, has just 10 seats and two sittings: 6pm and 8.30pm. Like Stone, Menes – who works with a total of three staff, including his wife and an apprentice – offers a set menu. Meat is an optional extra; many of the vegetables are from his own garden. The highlights include a vegetable and fruit plate inspired by the famous gargouillou of French chef Michel Bras, featuring around two dozen separately cooked elements, from fennel and asparagus to watermelon radish and halved grapes. The dish is assembled with tweezers while you watch. 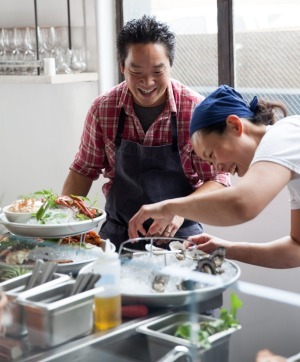 "I always wanted a small restaurant I could wrap my head and arms around," says Menes, whose resume includes stints at revered restaurants including Thomas Keller's French Laundry, and who chose to focus on vegetables so he could control his ingredients all the way from planting. Having honed his concept for four years across a series of pop-up events, Menes says Los Angeles is a city that encourages creativity. "LA does not discriminate with food," he says. "You can deliver greatness in a paper bag or on Limoges china." Indeed, one of the most exciting things about the LA dining scene is that it seems to have tossed out the rules. It is not just high-end restaurants that get people buzzing: the city's foodies get just as excited over a fabulous food truck or a no-frills diner serving the perfect hamburger. One of the city's most acclaimed restaurants – Ludo Lefebvre's Trois Mec – is housed in a strip mall. Another acclaimed chef, Neal Fraser, decided to follow up his success at the highly lauded Redbird by opening a gourmet hot dog stand called Fritzi Dog. "Not everybody can afford to eat at Redbird," Fraser says, adding that quality ingredients are at the heart of both eateries. "At Fritzi Dog, we buy the best buns, we use only prime cuts of meat, we treat our ingredients with integrity. You feel better after eating it," Fraser says. Rather than asking why Los Angeles has suddenly unleashed such an avalanche of culinary creativity, the more appropriate question might be, what took so long? Southern California is the source of much of the United States' best produce, as a stroll through one of its many farmers' markets will show. The urban sprawl means the city has plenty of dining epicentres: you are as likely to find an acclaimed restaurant in Culver City as you are in West Hollywood. Yet in this celebrity-obsesses city, for many years it was more common to read about who was dining in the hottest restaurants, rather than what was on the menu. LA's chefs needed a cheer squad, and they got one in Jonathan Gold. The first food critic to win a Pulitzer Prize, Gold – writing first for the LA Weekly, and now for the Los Angeles Times – is known for his idiosyncratic reviews, which are as likely to celebrate a hole-in-the-wall diner as the hot new opening. "Jonathan Gold has been a champion," says Gary Menes. "He rates restaurants with a narrative rather than stars." By educating and informing diners, he has created an audience receptive to new ideas. The tipping point came in 2008, when an LA chef named Roy Choi kick-started the food truck revolution. Two things made Choi's Kogi barbecue truck stand out. One was the food, a fusion of Mexican tacos with Korean barbecue. The other was Choi's canny embrace of social media, using Twitter to update diners on where the food trucks would be appearing. The runaway success of the project launched a new industry: at one point, LA had more than 200 food trucks, while the national food truck industry was estimated to be worth $800 million. The trend even inspired a Hollywood movie of its own, Chef, starring Jon Favreau. 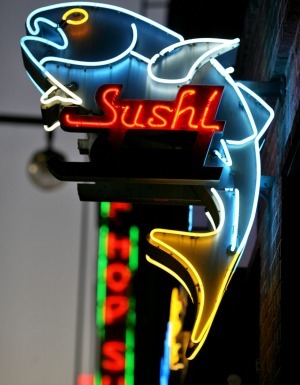 But perhaps its most lasting legacy was the way it encouraged LA's chefs to get creative. "LA is a playful place for chefs," says David Rossof. "The attitude is a little bit punk rock, a little bit DIY. 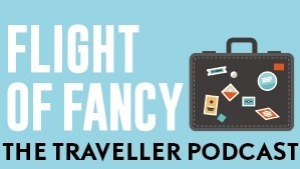 You don't have to have an enormous wine list and all the frills – you can do your own thing." That is precisely what Rossof and his partner, chef Chris Feldmeier, are doing at their brand-new restaurant. 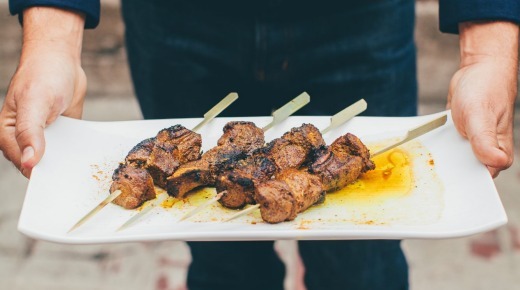 Moruno showcases the Moorish flavours of southern Spain, and almost everything on the menu – from turmeric lamb leg skewers to the sublime squid-stuffed squid – is cooked over open flame. "The flavour of the wood touches everything you cook," says Feldmeier, who favours Californian white oak. Rossof is a fan of both outlets, saying they play a vital role in Los Angeles. "Growing up in LA, I would come here on school field trips and family outings," he says. "This city has so few of these markers for life, these piazzas or squares where public life happens. They are really important." 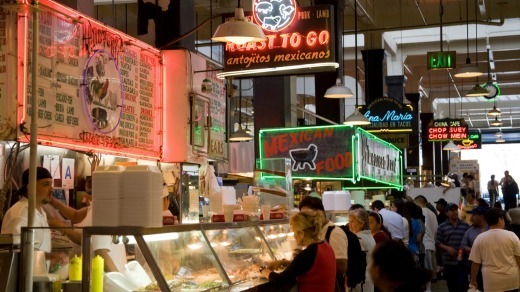 Loteria Grill at the Original Farmers Market in Los Angeles. The location also fits with Rossof and Feldmeier's desire for a more casual vibe, a desire burnished by their travels in Spain. "I loved that you could just walk into a restaurant after a day of strolling around the city without worrying about how you were dressed, or whether you have reservations two days in advance," says Rossof. Alongside Moruno and Fritzi Dog, another Original Farmers' Market standout is Loteria, run by Jimmy Shaw, a Mexican who kicked his corporate career to the kerb to open his first restaurant in 2002. "This is the second largest Mexican city in the world, but when I moved here, the food I found was at best Mexican-ish," Shaw says. In particular, he was frustrated that tacos were dismissed as fast food. 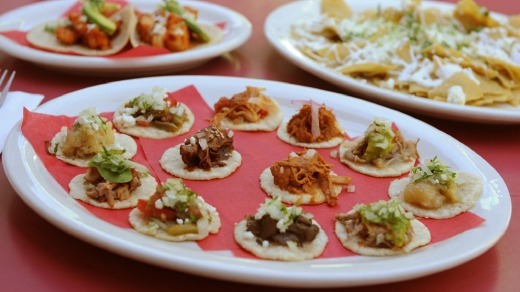 Loteria became a showcase for tacos as a culinary classic, renowned not only for the quality of its sauces – all made from scratch – but for the diversity of its offerings. From potato tacos with roast poblano peppers to meltingly tender carnitas (pork confit with spicy sauce) to zucchini and roasted corn to a rich and flavourful mole poblano, each one is more tempting than the next. Loteria quickly became a standard-bearer for Mexican cuisine, and other chefs followed suit. Today, diners can choose from a plethora of eateries showcasing Mexico's regional cuisines, and other immigrant cuisines are queuing up for their turn in the spotlight. Asian food is particularly hot, which is fitting in a town that has not just a Chinatown, but also a Thaitown, a Koreatown, and not one but two separate Japanese hubs. "Japantown in Sawtelle has become the hot culinary destination of the Westside, where you can find Korean barbecue sausages, Asian fusion burgers, self-order ramen kiosks, and black sesame shaved ice," says Sally Tiongco, CEO of Six Taste Food Tours, which runs walking tours in many of the city's ethnic neighbourhoods. "Little Tokyo offers a more traditional Japanese atmosphere with older family-owned establishments, including a 1900s-old bakery that offers some rare mochi and wagashi (Japanese confections)." Helping LA's Asian cuisines break out of the ghetto are a number of highly trained young chefs who are drawing on their ethnic heritages to create new flavour combinations. Among the trailblazers is Bryant Ng of Cassia restaurant in Santa Monica. "We have such a breadth and depth of diversity in LA," Ng says. "In the last five years, people like me – LA natives with families from overseas, who have grown up eating the foods of both cultures – have started creating something new. It uses the roots of their culture, but is also influenced by LA itself." 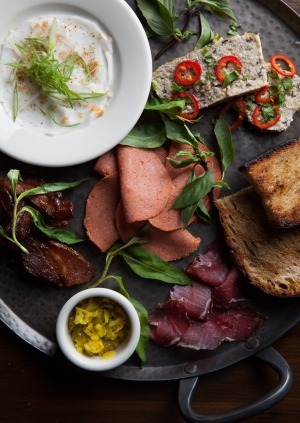 In Ng's case, his new restaurant – the successor to his popular eatery, Spice Table – draws on the Singaporean heritage of his father and the Vietnamese background of his wife, Kim. The menus range includes traditional favourites such as laksa and green papaya salad as well as more outside-the-square fare such as chopped escargots, tangy with lemongrass and served with a superb straight-from-the-oven flatbread. Then there is Ng's Vietnamese pot au feu, an oriental update of the French classic featuring short ribs, bone marrow, Vietnamese herbs and spices and noodles. While Angelenos are conversant with Chinese, Japanese and Korean cuisines, restaurants such as Cassia and Kris Yambuan's upmarket Thai, Night + Market, are expanding their horizons. "There is a population here really interested in food opening their palates," Ng says. "For me to even be part of this dialogue is very, very exciting." Maude, the acclaimed restaurant of Aussie chef Curtis Stone. However, the dishes themselves, a winning combination of creative presentation and eclectic inspiration, could not be more modern. A series of perfectly-executed appetisers includes a "finger taco" that draws inspiration as much from Thai miang kham as from its Mexican namesake, with a nasturtium leaf wrapped around scallop tartare and puffed sushi rice, flavoured with wasabi oil and mirin. Among the slightly larger plates, a pretty-as-a-picture plate of lightly poached spot prawns with prawn jelly, roe, prawn crackers and ossetra caviar tastes as sweet as it looks. Each dish is remarkable in the precision of its flavours, perfectly balanced against every other component. It's a meal that only a master craftsman could compose – and in a city full of talented chefs, Cimarusti is definitely one of the leaders of the pack. Maude, 212 South Beverly Drive, Beverly Hills, www.mauderestaurant.com. Le Comptoir, 3606 West 6th Street, www.lecomptoirla.com. Moruno, Original Farmers' Market, 6333 West 3rd Street, www.morunola.com. 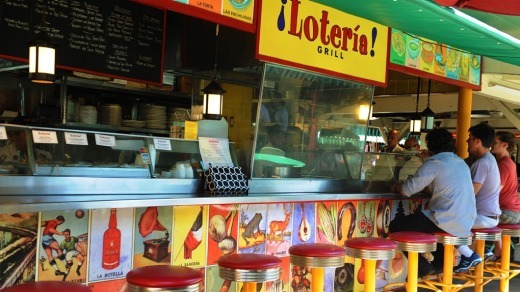 Loteria, Original Farmers' Market, 6333 West 3rd Street, www.loteriagrill.com. Cassia, 1314 7th Street, Santa Monica, www.cassiala.com. Providence, 5955 Melrose Avenue, www.providencela.com. Ute Junker travelled courtesy of LA Tourism and Hotel Normandie. We asked some of LA's best-known chefs to pick the places they love to eat. Bryant Ng, Cassia: What Ray Garcia is doing at Broken Spanish is very exciting. Like me, he has a formal cooking education, but decided to focus on the food of his heritage. 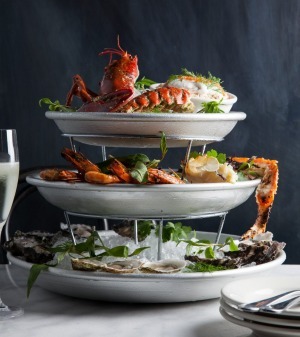 Curtis Stone, Maude: Chef Michael Cimarusti of Providence is committed to procuring the finest sustainable seafood and cooks with a seamless unfussy sophistication and respect for his produce. 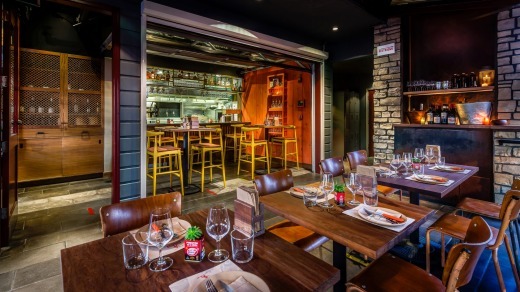 Aussies will also appreciate his other outlet, Connie and Ted's fish shack, with its fish-and-chip-shop vibe. Susan Feniger, Border Grill: Kajsa Alger helped me open Mud Hen Tavern, and is not just a great chef but a savvy businesswoman. She gives a global accent to American classics, and is particularly good at creating delicious vegetarian and vegan options. Neal Fraser, Redbird: Joseph Centeno has opened a string of places in downtown LA: Ludlow, Bar Ama, Baco Mercat. He keeps the decor simple, has a good palate and focuses on smart flavours. Michael Cimarusti, Providence: Mozza is the queen of the LA restaurant scene and deservedly so. My new favourite at the pizzeria is the slow-cooked broccoli pizza. It is as delicious as anything I have ever put in my mouth, and no, I'm not sharing. Good food doesn't have to cost a fortune. Here is our pick of LA's best foodie bargains. Some things never go out of style. Try these local heroes. Juice bars: There's nothing like a swig of cold-pressed organic juice to give you that California glow; try Press Brothers or the Punch Bowl. Latino flavours: Move over, Mexico: Central and South American flavours are big. Try El Salvador's take on the taco, the pupusa, at Sarita's Pupuseria at Grand Central Market, or Peruvian small plates at Picca. Pizza: California cuisine swept the world back in the 1980s; designer pizzas are one of its most lasting legacies. Still in demand are favourites such as Spago's smoked salmon pizza and Pizzeria Mozza's Egg, Bacon, Yukon Gold Potato & Bermuda Onions. Vegan food: The hills are alive with herbivores; vegans have rich pickings, especially at the ubiquitous Real Food Daily chain and at Seed Kitchen at Venice Beach, where favourites include everything from tempeh burgers to coconut mousse (Madonna's favourite). Ice-cream: It's no surprise that trend-driven Angelenos aren't content with chocolate and vanilla. Among the "what, seriously?" 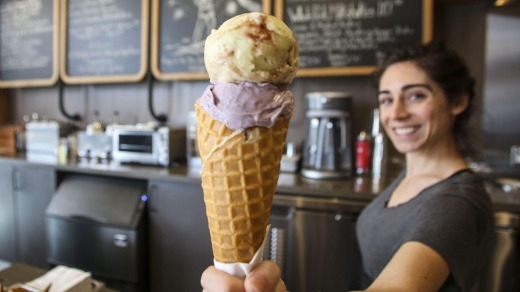 flavours on offer are avocado and strawberry sherbet (at Salt and Straw) and fried chicken and waffles (at Coolhaus).